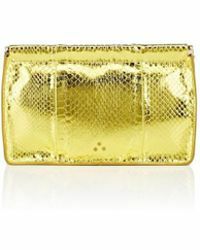 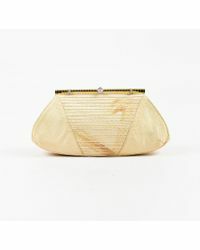 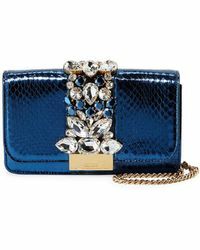 Time to give your clutches a bit more of an edge? 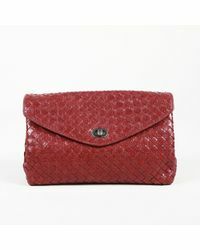 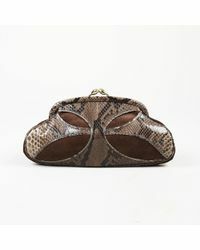 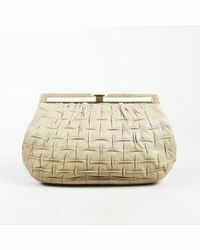 Take the plunge and become acquainted with a snakeskin clutch. 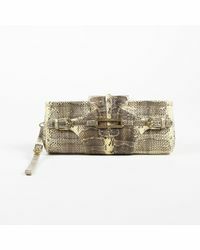 Whether you're looking to go full throttle with a snakeskin clutch decorated with crystal embellishments like M.c.l and COACH or you're looking for a snakeskin clutch with a colorful pattern like the ones by Inge Christopher and Proenza Schouler, a snakeskin clutch will happily see your outfits through to the early hours of the morning.